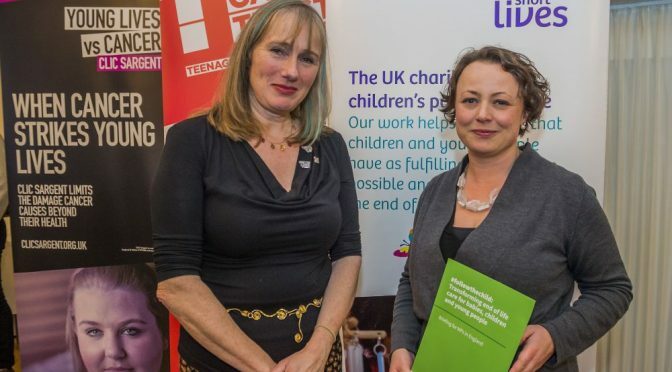 Newcastle North MP, Catherine McKinnell, has joined forces with six national charities to call for seriously ill children and their families to be able to make choices about their palliative and end of life care which are based on their needs, wishes and best interests – and are not restricted by the postcode in which they live. 5,000 babies, children and young people in the UK under the age of 19 die every year, of which a significant number are children with life-limiting or life-threatening conditions who need end of life care. Having to plan and prepare for a child’s end of life care and death is the most stressful, heart-breaking, lonely and isolating thing that any parent can face. Yet, despite a Government commitment to end of life choice, access to good end of life care support, planning and care based on choice is not universally available to all families preparing for their child’s death. 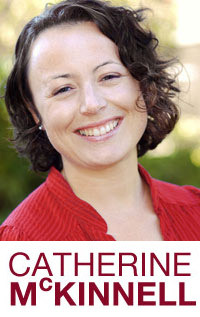 Catherine McKinnell, who is co-chair of the All-Party Parliamentary Group on Children Who Need Palliative Care, has joined the charity coalition of Together for Short Lives, The Brain Tumour Charity, CLIC Sargent, Teenage Cancer Trust, Marie Curie and The National Gold Standards Framework Centre in End of Life Care, in pressing their ambitions for better end of life care at a Westminster event held this week, called #FollowTheChild. This coalition is calling on the Government to end the postcode lottery and help families have the best possible experience during this challenging and traumatic time, by meeting its end of life choice commitment for babies, children and young people, and by implementing the NICE (National Institute for Health and Care Excellence) guideline on providing children’s palliative care. NICE calculates that by investing £12.7million in implementing its guideline on end of life care for children, non-cash savings worth £34.7million would be released back into the NHS in England. During the event in Parliament, Catherine heard from Sacha Langton-Gilks, whose son, DD, died as a result of a brain tumour in 2012 aged 16 years. DD, had a calm and peaceful death at home. However, Sacha believes that the experience which her family had was largely due to good luck. She told MPs that the idea that luck should dictate whether you are able to follow your child’s wishes and manage a good death for them is outrageous. ‘Sacha’s powerful and moving story really underlines how important a good death is for a seriously ill child and their family. However, it was evident at this week’s event that there is so much more to do to help families access the end of life care they need, when and where they need it. The All-Party Parliamentary Group on Children Who Need Palliative Care are also holding an inquiry on the extent to which the Government is meeting its end of life care choices commitment for babies, children and young people, with oral evidence sessions commencing next week, as access to good end of life care for children and young people is not universal. Too many children cannot choose where they receive end of life care. Just two thirds (67%) of NHS clinical commissioning groups (CCGs) in England plan and fund community children’s nursing teams to provide care out of hours and at weekends. Almost half (46%) of local NHS planning and funding organisations in England are failing to implement the Government’s end of life care choice commitment for children and young people and have no plans to do so. Only a third (35%) of CCGs say that they are implementing it, while a further 19% stated that they are developing plans to do so. State funding for charities delivering vital children’s palliative care in England, including children’s hospices, is patchy and declining year on year. There is also a lack of parity between statutory funding for children’s and adult palliative care, for example on average, adult hospices in England receive 33% of their funding from statutory sources and children hospices receive an average of 22%. NICE recommends that children’s end of life care should be joined up by managed clinical networks (MCN). Yet only one region of England has an MCN. There are too few doctors and nurses with the skills, knowledge and experience needed to care for children at the end of their lives. The number of children with life-limiting conditions is growing, yet never been closely monitored. The six charities who make up the #FollowTheChild coalition are therefore are calling on the Government to commit to developing a national children’s palliative care strategy for England. They ask for this to be developed based on a national inquiry into the care and support offered to the 40,000 babies, children and young people in England with life-limiting and life-threatening conditions and their families.